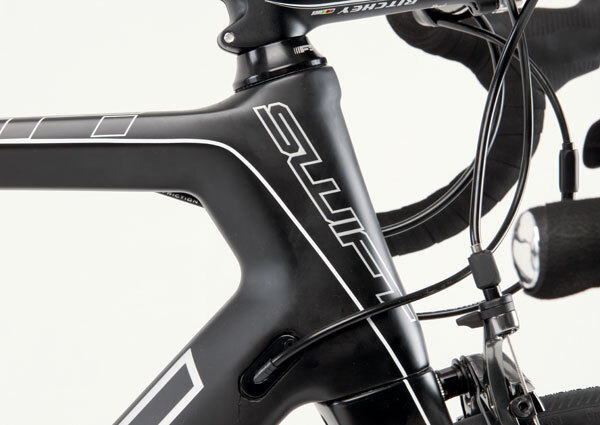 Started by Mark Blewett, a South African Ex-Pro, Swift Carbon is based in the Chinese town where the frames are produced. Rather than have prototypes fly back and forth across continents, Blewett can be riding raw prototypes with an hour of moulding, allowing for super fast lay-up iteration changes. The potential jump this gives him over the competition is huge. Thankfully, the hilly terrain surrounding Xiamen is an ideal, hilly test ground. Despite being a relatively new company, this year sees three new models: a brace of Ultravox road machines and the TT/ Tri Neurogen. 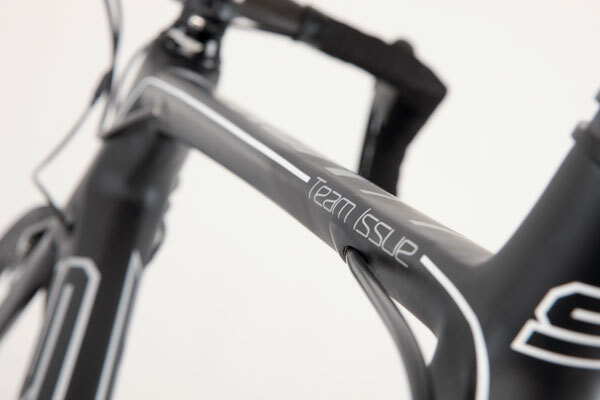 The TI stands for Team Issue and is designed to separate it from the second in line Ultravox RS-1 (re-worked from last years iteration to reduce costs to £1800, f+f). Both frames share the same external profile thanks to them sharing a mould, but the TI mixes higher modulus fibres, including Toray 1000HM vs the 600 and 800 used on the cheaper RS-1. Higher tensile strength allows the TI to resist loads using less material mass. The resulting finished frame comes in at a claimed 900 grams for a small (51.5cm). Some of this is due to the lack of paint and lightweight decal kit, but its impressive if the handling quality is maintained. 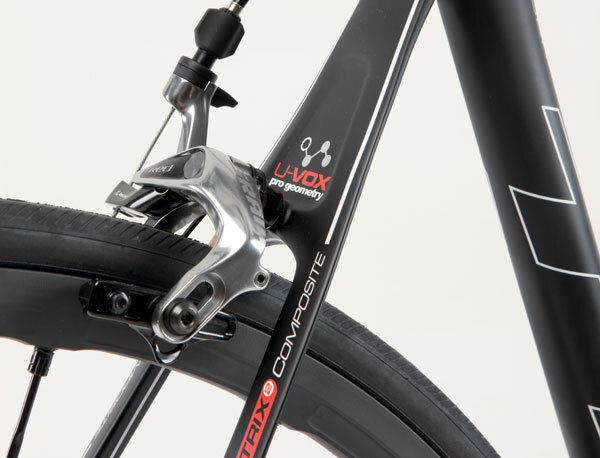 Geometry wise, the Ultravox’s have slightly slacker than normal head angle’s and a longer wheelbase. 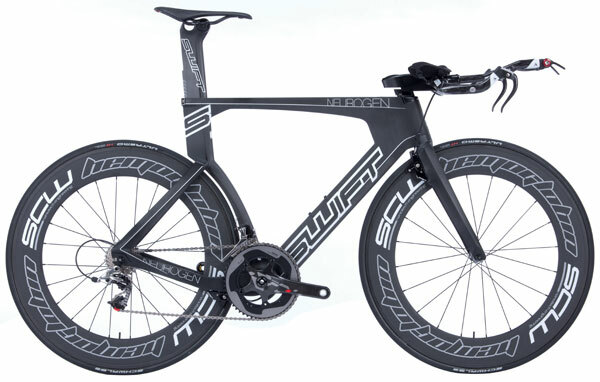 The marginal alterations from the norm should make the Ultravox TI (and RS-1) stable at speed, and a bit less flighty. They’re unlikely to feel in any way slow in the curves but this lack of nervousness sounds perfect for longer rides. Don’t get us wrong, it’s not a ‘comfort’ bike, the short headtube and oversize BB and chainstays should hint at that and UCI approval means it’s passed the tests to be used at the highest levels. If mass start events aren’t your focus, the new Swift Carbon Neurogen should appeal. While we can only guess at wind tunnel results, visually it seems bang up to date. 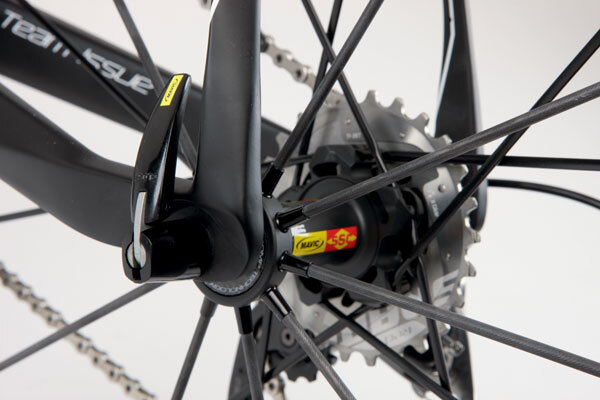 Hidden, linear pull brakes slow the bike while a shrouded rear wheel complies with the UCI rules. 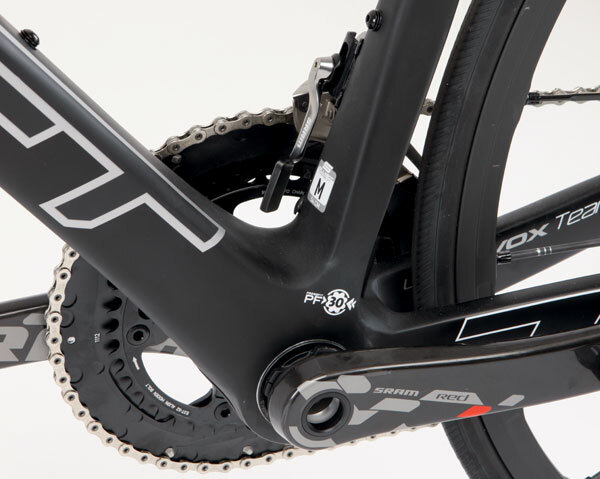 To get up to speed frame flex is countered with the same high modulous fibers – including around the bottom bracket and stays – as used on the Ultravox TI. Di2 compatibility, Pressfit BB, NACA tubing profiles are all yours for £2400, and all in an aesthetically sleek, light (1450gram) and unusual package.